Part one of our WordPress e-commerce website design overview looked at the commercial influences into E-creation's decision to start using WordPress as a CMS platform and WP e-commerce as a shopping cart plug. 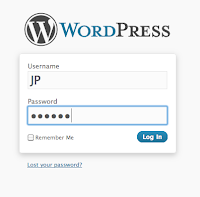 The core WordPress content administration functionality is flexible - certainly flexible enough to support the complicated multimedia & interactivity requirements demanded by E-creation clients. A specific useful feature we have integrated into WordPress to create a more interactive, visual experience is home page animations. Most contemporary websites use simple, effective image animation to keep the page alive and moving. But potential customers are fickle - so updating and keeping your imagery topical is an important element in building the initial relationship. For the SexyCooking website, we update the front page animation with seasonal food imagery and holiday based recipes (in addition to text based updates to the recipe list on a weekly basis) on a regular basis. Updates to the front page animation are done simply, by uploading an image into a specific folder, which our code searches through automatically every time someone visits the website. 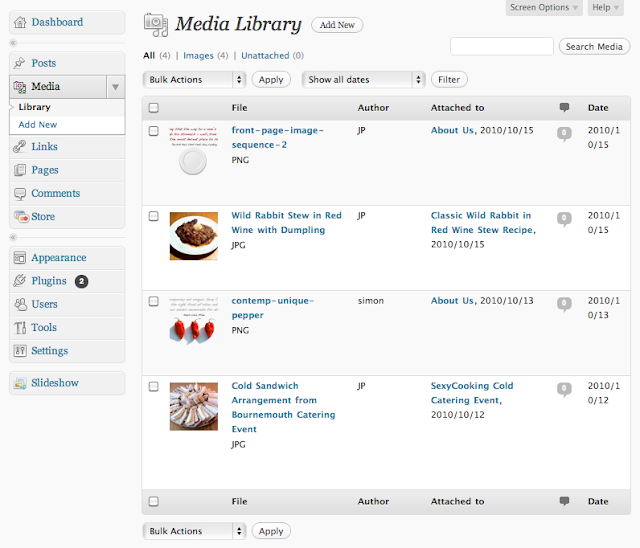 Here you can see the administration screen for the media library within WordPress. Two images have been loaded or 'attached' to the About Us page. This is sufficient for the page to automatically read and display in the page. As part of the code we wrote, it is possible to easily change the speed with which the images change and the 'dissolve' effect. Click here for part three of our article on WordPress E-commerce Website Design which looks at Booking Calendar Plugins for WordPress e-commerce website design.